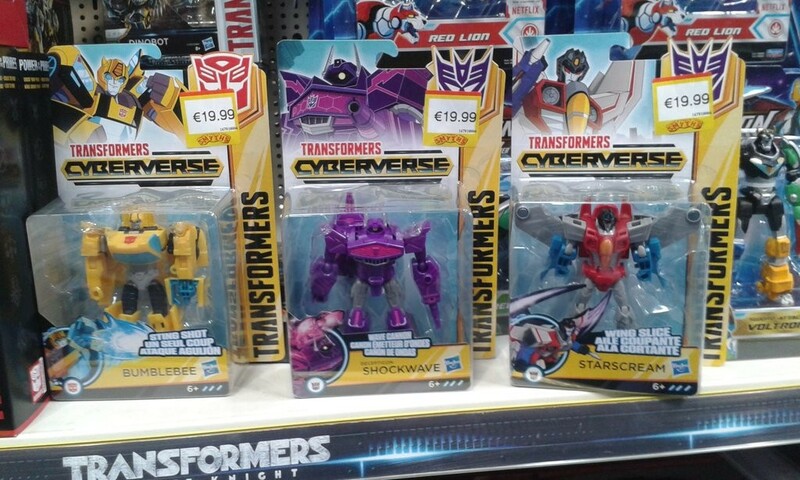 william-james88 wrote: The Transormers Cyberverse line is as our doorstep with another international sighting. This one comes from the UK with the warrior class found in SMYTHS in Waterford by fellow Seibertronian leokearon. They were €20 each. For those unaware, the entire line is based on gimmicks with simplified transformations. 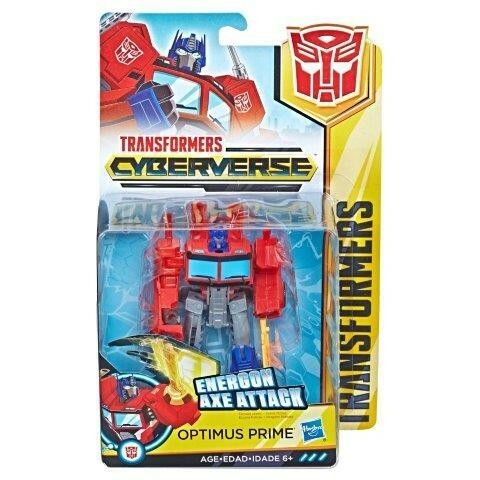 This is very different the previous cartoon line, Robots in Disguise, which at least had the legion and warrior class devoid of gimmicks or action feautures and had the same complexity as their counterpart classes in previous toylines. While we have yet to get video reviews, we do have new stock images showing us the final product, for both the scout and warrior class. Please be aware that the scout class does not full transform, they go from robot mode to a mid transformation where an action feature is activated. The images were sent our way thanks to Scotty P who found them on a toy website called Uncle Pete's Toys. And please let's just burn those poor half-transformer scout things and put them out of their misery. 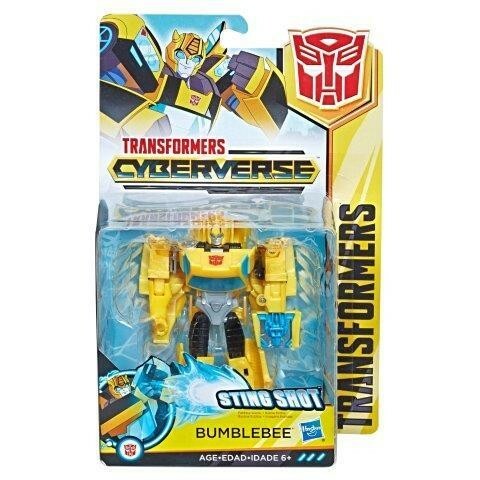 The Scout class used to mean decent fully transformable figures back in the last decade whether it was Energon, Cybertron or Revenge of the Fallen. 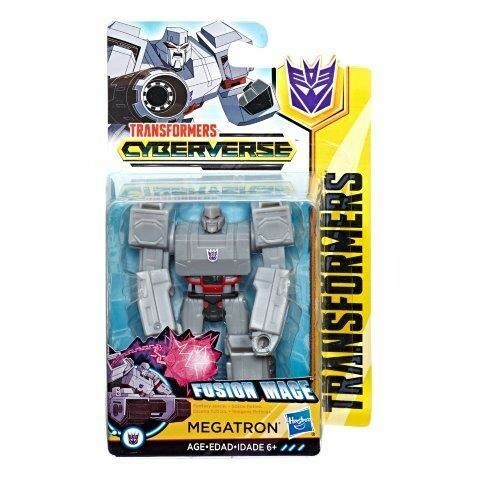 I thought 'half transformed' was the realm of fan mode transformations, or McDonalds style toys, not official mainline figures. yeah that's what confused me in my previous post seeing the Euros and UK mentioned together. That shop is in Waterford and quite south in the Republic of Ireland, whereas it's the little bit at the top called Northern Ireland that is in the UK. Normally I'm all for kids having the simplified toys and being for younger kids...but these scouts are taking the mick...a lot. 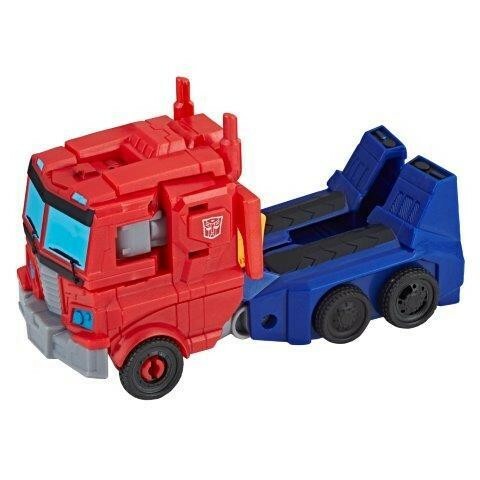 I can see a lot of kids being annoyed by them, as they attempt to get them to transform completely. 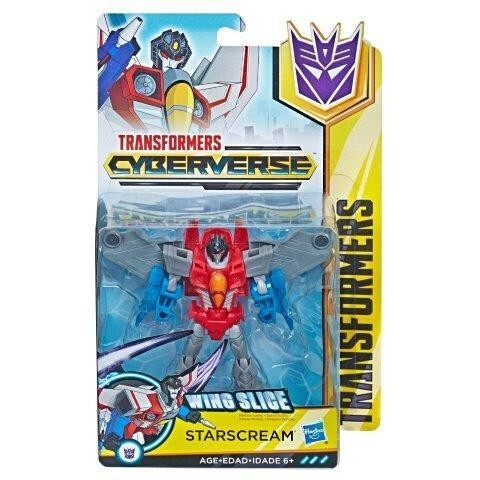 I see Hasbro still hasn't learned and continues to have an entire toyline worth of 'shovelware' Transformers thinking kids will buy this crap. Okay, well in fact they do so clearly I'm just a grumpy old man but the what I've noticed when in stores is that it's parents who tend to push their kids toward the simpler, less step-involving figures. Now to some extent the reasoning make sense; a simpler toy mean, in theory, that little Billy can more easily play with it. Except, of course, this is ignoring that up until the boom of the movie era we had 15-something years of semi-complex and complex Transformers and whole generations of kids, from the late G2 to Cybertron were playing with figures with more involved transformations and with poseability. 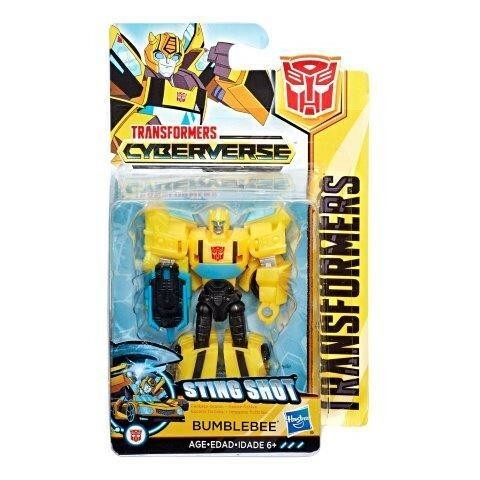 Skritz wrote: I see Hasbro still hasn't learned and continues to have an entire toyline worth of 'shovelware' Transformers thinking kids will buy this crap. Okay, well in fact they do so clearly I'm just a grumpy old man but the what I've noticed when in stores is that it's parents who tend to push their kids toward the simpler, less step-involving figures. Now to some extent the reasoning make sense; a simpler toy mean, in theory, that little Billy can more easily play with it. I dont really see how this is any different than the predators and turbomasters that were on the shelves in the late 80s early 90s. I don't understand. Those turned into full vehicle modes and while kinda simplistic compared to today's figures they weren't far off what had been coming out in the mainline Transformers for the past few years back then. It's these Scout things that have me shaking my head in disbelief. Transformers that can't fully transform. That somehow seems worse than Transformers that cannot transform at all (yeah Action Masters) because at least they didn't pretend otherwise. I said before Scout class used to mean something better but also Cyberverse did too. The DotM and TFPrime Cyberverse lines were decent Legends and Commander class figures that despite their small size transformed into mostly decent looking alt-modes. They were plenty simple enough for any kid while not crippling the main feature of the toy. Some people forget that g1 had plenty ofor gimmicky figures that would fit right in to 1 step changers...jump starters anyone? I would argue we didn't get more complex transformations till beast wars. Though skritz is right that parents go for the simpler ones as they look more doable then other offerings but I think there's another factor there...one being price. ZeroWolf wrote: Some people forget that g1 had plenty ofor gimmicky figures that would fit right in to 1 step changers...jump starters anyone? I would argue we didn't get more complex transformations till beast wars. I didn't forget those. 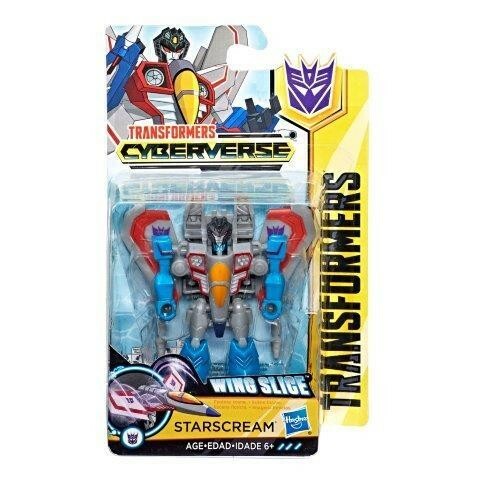 I used to get a bit disappointed when I'd get one cos that wasn't what I wanted in a Transformer but I kept them because it was the only version of that character so that's what they were and they still had distinct forms of robot and alt-mode(s). These Scouts have no reason to exist like they do. They are plenty far superior versions of these characters done as toys that fully transform and simple enough for those kids who apparently can't deal with the more 'complex' toys. 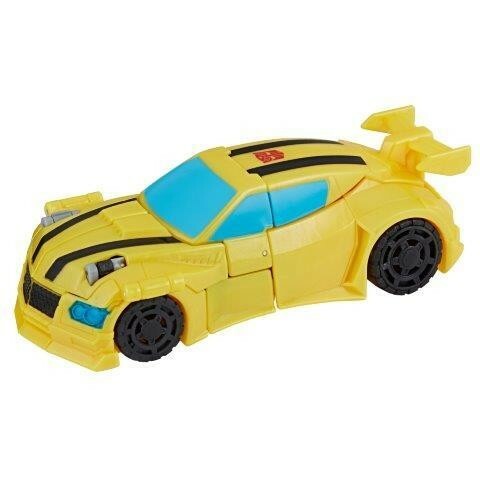 Even in this line there's a bigger Bee that transforms into an actual car but even if that's too expensive for the buyer, just get an old Legends one for the kid. Can find them at most car boot sales or charity shops for almost nothing. I didn't forget those. 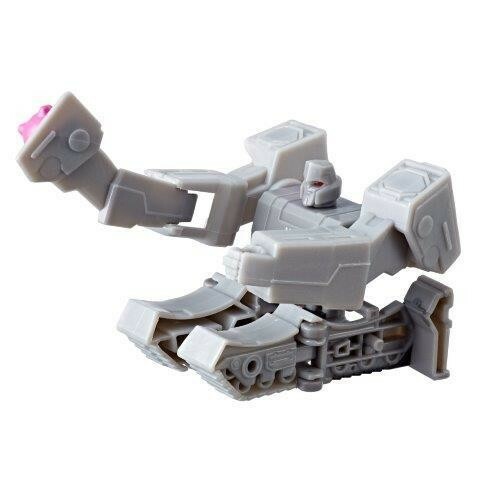 I used to get a bit disappointed when I'd get one cos that wasn't what I wanted in a Transformer but I kept them because it was the only version of that character so that's what they were and they still had distinct forms of robot and alt-mode(s). These Scouts have no reason to exist like they do. They are plenty far superior versions of these characters done as toys that fully transform. Oh I agree like I said a few posts above, I've no problem with simplified toys but these scouts just seem bad all around. I'd rather they just made small Legion class figures as those are always fun. Skritz was talking about the entire toyline, not just the scouts. Same with my reply. ZeroWolf wrote: I'd rather they just made small Legion class figures as those are always fun. Yeah, exactly cos those even serve the purpose of being fun pocket-sized Transformers for any age too. I sometimes take one or two with me to rehearsals if there are long periods i'm not actually doing anything for or on long bus/train/car journeys to have something to do and keep my fingers busy and my mind distracted from stress and anxiety and such. Well i don't think they're particularly great either and that many Generations figures of those characters do a better job and aren't a whole lot more complicated but yeah it's those Scouts that bug me the most. Sadly not, that's it's complete transformation from bot mode. Nope, it's midtransformation, which is all the toy was going for. Robot to halfway-stopping-point. 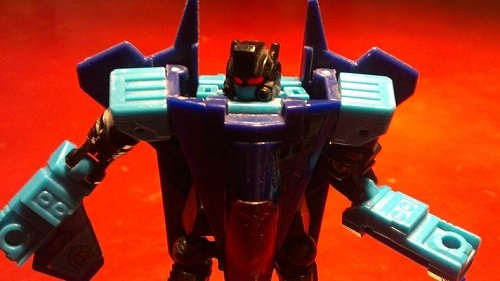 ZeroWolf wrote: Sadly not, that's it's complete transformation from bot mode. 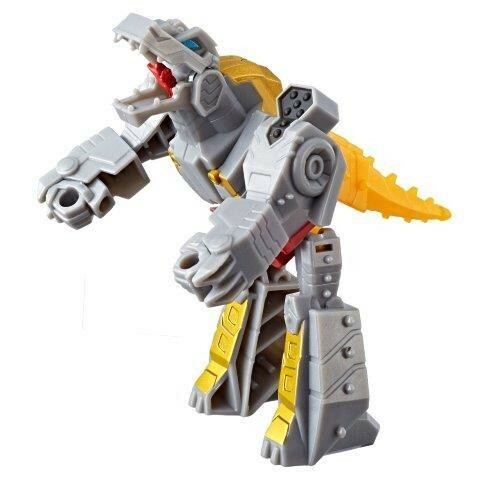 Look, I understand that Cyberverse is for kids and not us adults, I really do, but holy geez these things look naff. 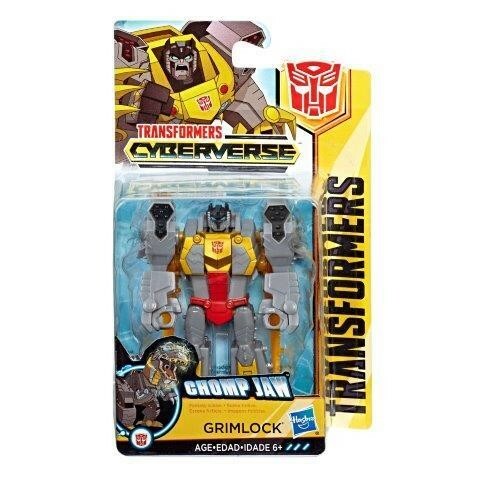 Grim looks like some guy wearing that doofy AOE Grimlock costume, and "scout" Megs and Bee just look kinda stupid. 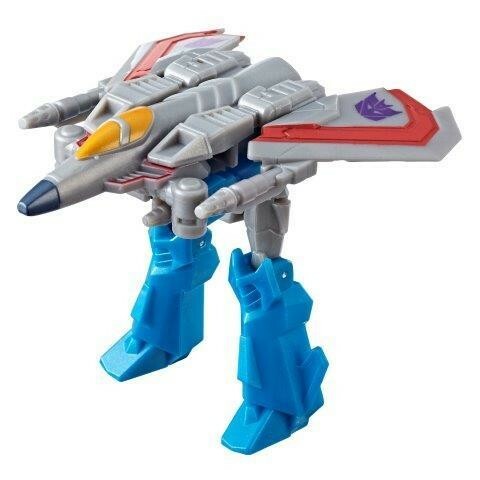 At least Starscream looks functional, and I'm actually diggin' Shockwave, esp if you can remove his turret thingy. 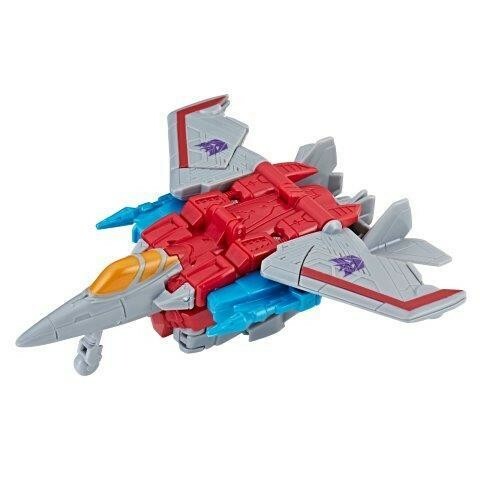 Wait, those are not a gimmicky mid-transformation form but...the full robot mode? WAT. 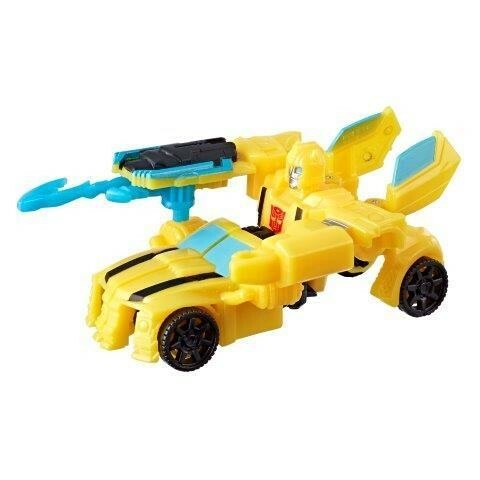 Edit: Nevermind, we do see a full robot and vehicle mode for Bumblebee. 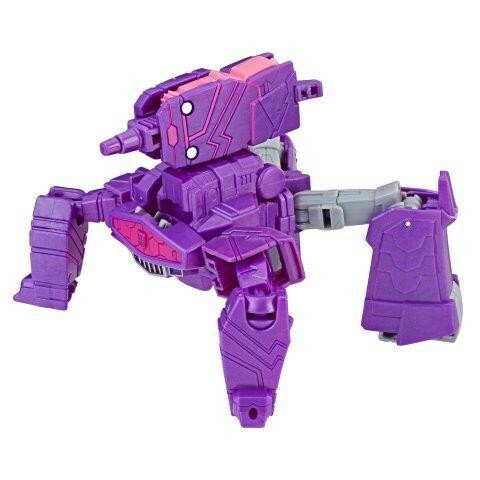 Also for what it's worth I actually dig the spider-tank Shockwave. Skritz wrote: Wait, those are not a gimmicky mid-transformation form but...the full robot mode? WAT. Yeah, there's two different kinds of toys seen here. The Deluxe class goes from robot to full altmode, while the Scout class goes from robot to mid-transformation "Attack Mode" that can use both the robot mode's weapons and the implied altmode's mobility functions. Yeah, there's two different kinds of toys seen here. Aah, I see. I was not paying attention to size class, my bad. These are the best looking transformers I've seen in a long time. Anybody in Ireland can hook a brother up? Honestly, I want to army-build that Shockwave and repaint them as Decepticlones. That Megatron is hilarious. 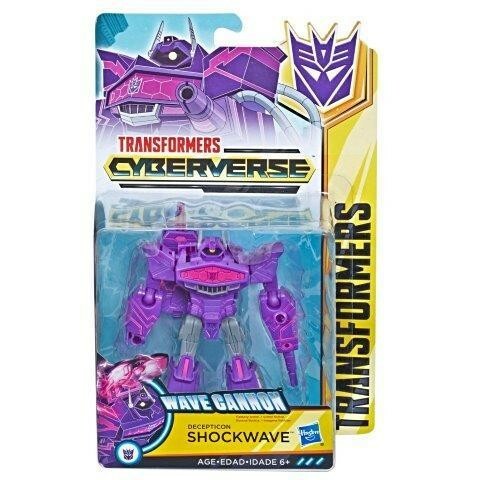 And I kinda want that Shockwave. How big are these things?